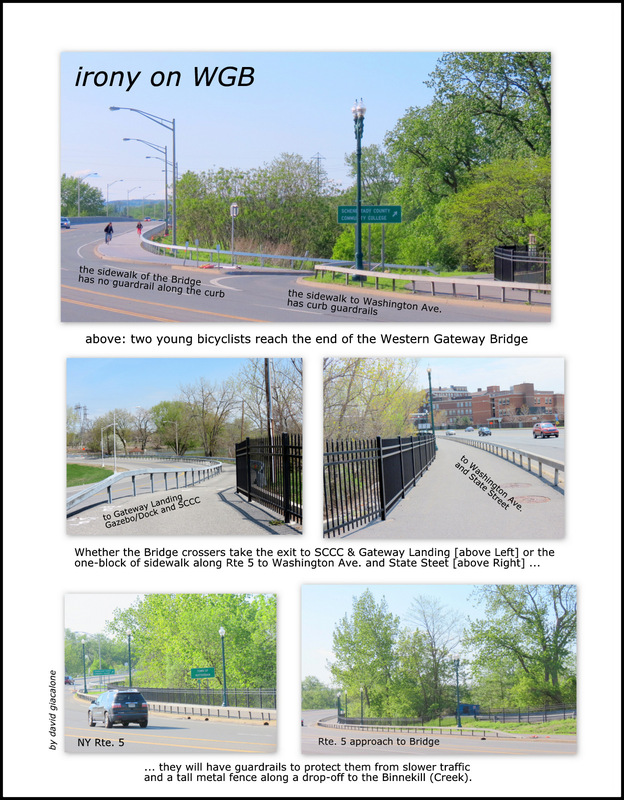 This past weekend, we began a WGB Curbside Guardrail Campaign, seeking signatures on a Petition calling for the New York State Department of Transportation to put sidewalk guardrails back along the curbs of the Western Gateway Bridge, for the protection of all sidewalk users, and of vehicles on the roadway. 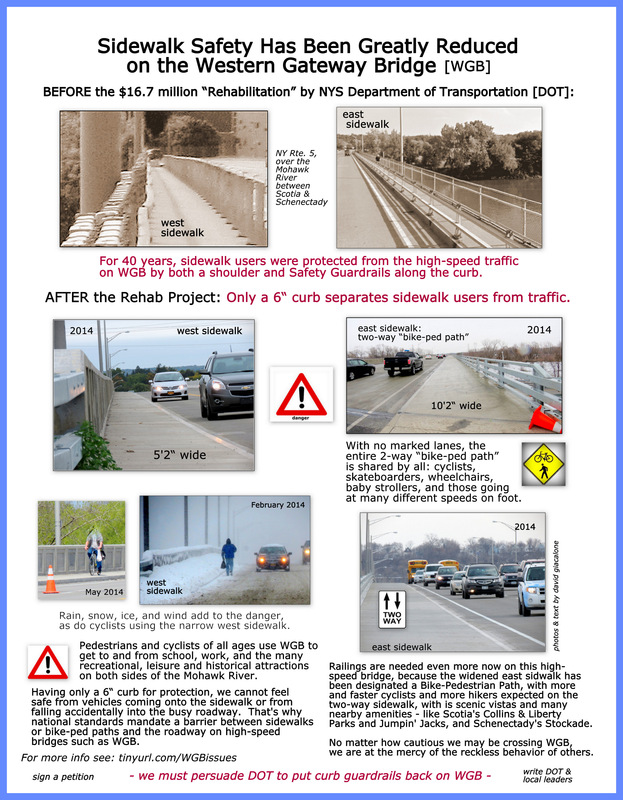 The photo-flier above gives a concise description of the safety issues, showing that the WGB sidewalks are far more dangerous than before the Rehab Project. 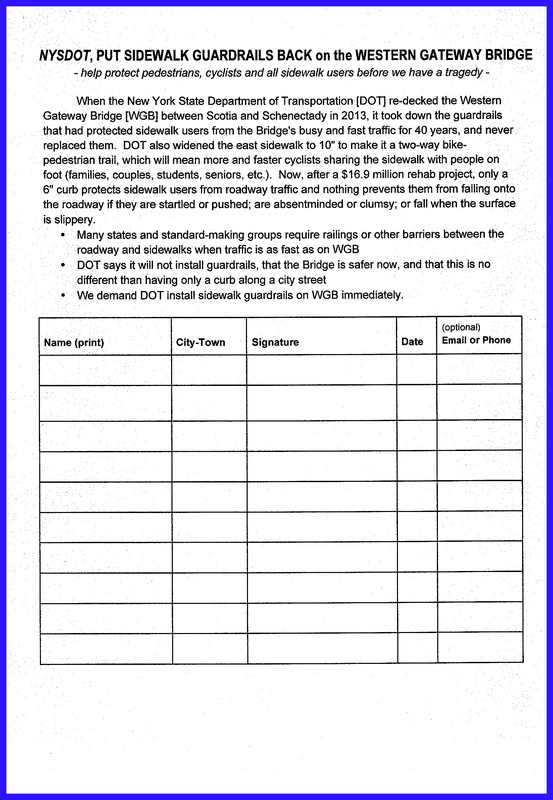 Please consider printing out the Petition and Flier above to help in this Petition Campaign. 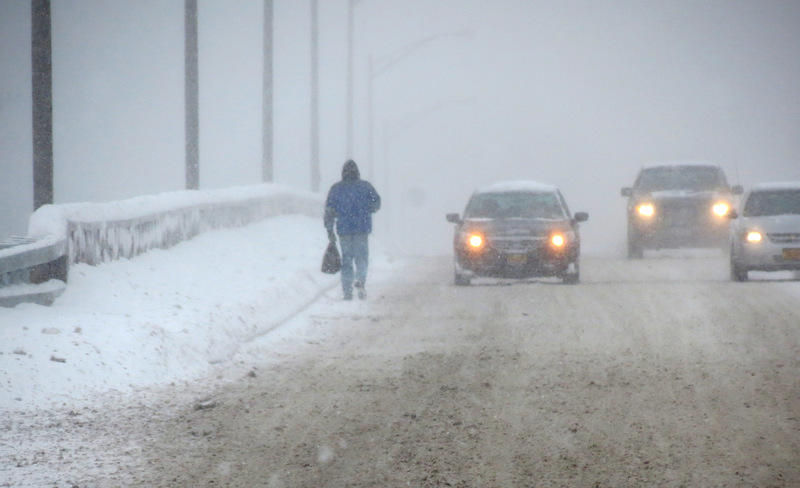 You can contact me by leaving a Comment, to return a Petition with signatures or for advice on seeking signatures. 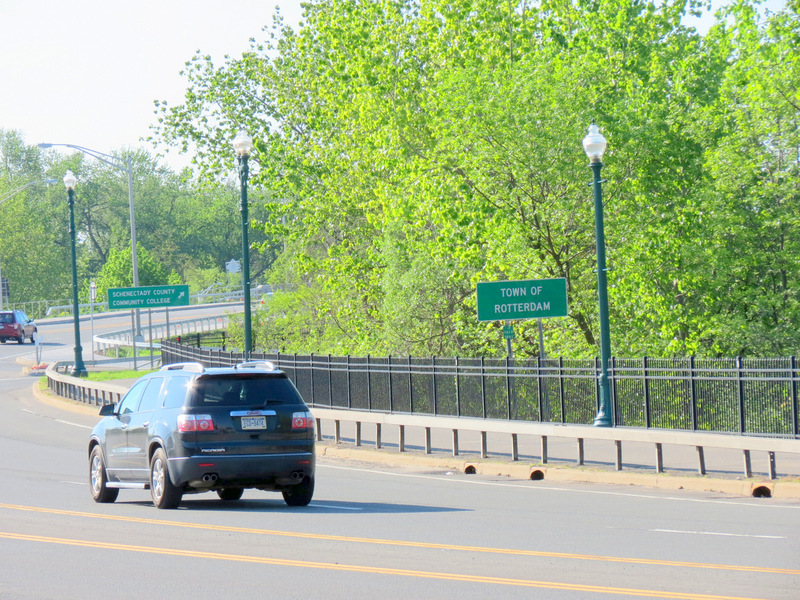 If you live in Scotia or Schenectady or otherwise use WGB, please let your local leaders — political and business — know you want DOT to put guardrails back on the curbs of the Western Gateway Bridge. 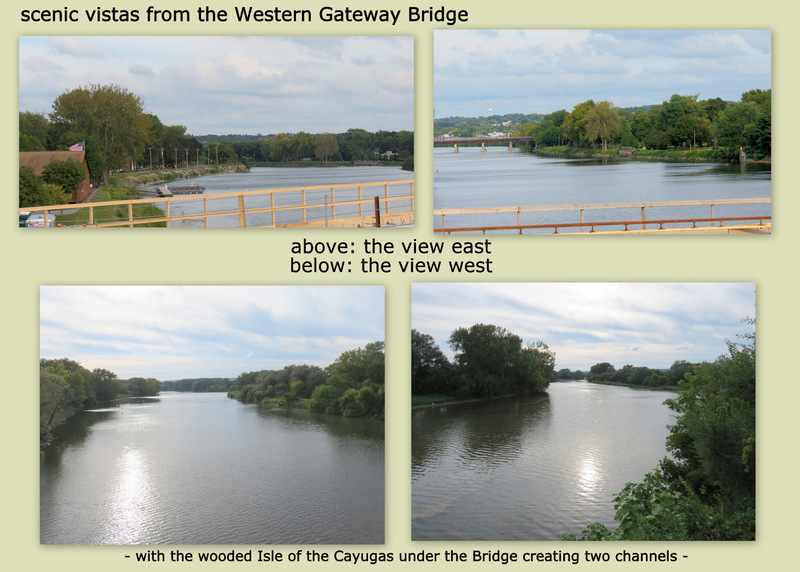 Above and Below: On each end of the Western Gateway Bridge, there are many attractions for cyclists and pedestrians of all kinds and ages. 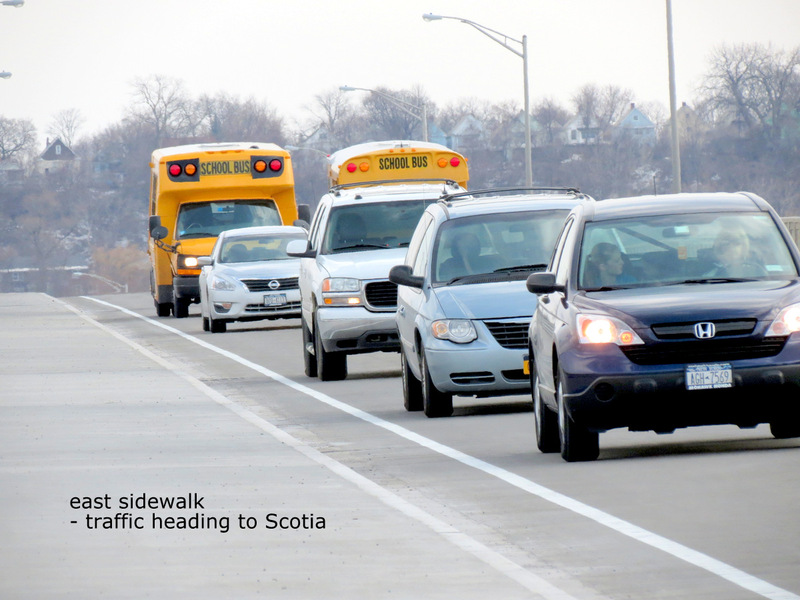 Let’s make the bridge safe for all of them, and motorists, too.